​Exciting news! Sydney's books are now on Kindle! Click here to order. When Matt Jones receives a mysterious package on his birthday, the search for who sent it begins. In this wholesome family story, Matt and his sister, Teresa, look for clues and have several adventures and harrowing experiences including a near kidnapping and a fire at the family’s greenhouse. Will Matt and Teresa solve the mystery before the greenhouse is destroyed? I loved it! I couldn’t put it down. I read the entire book, cover to cover, in one sitting! Your writing career is off to a great start. I hope you will continue to write many, many books. This is an amazing book. I would suggest this book to anyone who wants a good read. I just finished reading your book and really enjoyed it! Well done, and I hope you are working on another one. The words of your story ... take your listeners on an adventure, make them smile, and touch their hearts. Teresa and Matt Jones are excited about hiking the Appalachian Trail with their family. 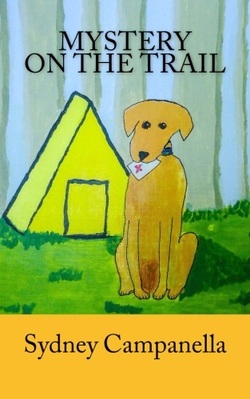 When Rusty, their golden retriever, turns up with a map, Teresa and her brother discover a series of hidden camps and find themselves in the midst of a new mystery. Teresa and Matt meet friends along the trail and have fun adventures, but struggle with their sibling relationship. The issues between them escalate just as Matt learns a secret about his new friend that sends both boys into a life-threatening situation. Once you start reading, you won’t be able to stop! 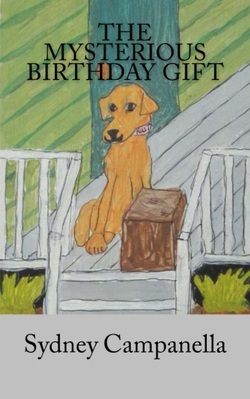 For fans that enjoyed The Mysterious Birthday Gift or newcomers to the series everyone will be delighted at the return of Matt, Teresa, and of course Rusty. The story takes a fascinating twist with new characters, captivating settings and of course more mystery. Teresa and Matt Jones arrive at Camp Lakeside with their dog Rusty, ready for a week of outdoor fun But Matt gets bullied by a boy named Jonathan, and Teresa gets rebuffed when trying to befriend his sister Kim, a shy girl who is always writing in her journal. Peering through a crack in her top bunk, Teresa discovers a secret about the girl's father that explains why she and her brother are acting to strangely. When danger threatens Teresa and Kim, the boys team up along with Rusty to save the girls and set an innocent man free. Hidden truths, narrow escapes, and high-stakes adventure - if only all summer camps were this much fun! Author Sydney Campanella explores the bounds of friendship, the pressure to fit in, and the unbreakable bond between brothers and sisters in her third novel, Mystery at Camp Lakeside, the final book of her mystery series. A must-read for your summer reading list! Sydney Campanella has done it again! Those of you who loved Sydney's first two books will love this wonderful addition to the series! Mystery at Camp Lakeside is a thrilling story about the brother and sister team, Teresa and Matt, when they go to their aunt and uncle's summer camp. The twosome go on another adventure, all while their dog, Rusty, keeps getting them in trouble. Along the way, they meet some pretty interesting characters who all share a secret. Will Teresa and Matt help their fellow camp-goers in time? This book is a page turner, and once you start reading, you won't be able to stop! If you've read the book, I'd really appreciate reviews on this website or on Goodreads or Amazon. If you're interested in news about special discounts and other updates, enter your email address and click on submit.